Glamping is the big holiday success story of the last few years, its popularity driven by the recognition that you don’t have to sacrifice style and comfort to enjoy a refreshing blast of adventure in the great outdoors. 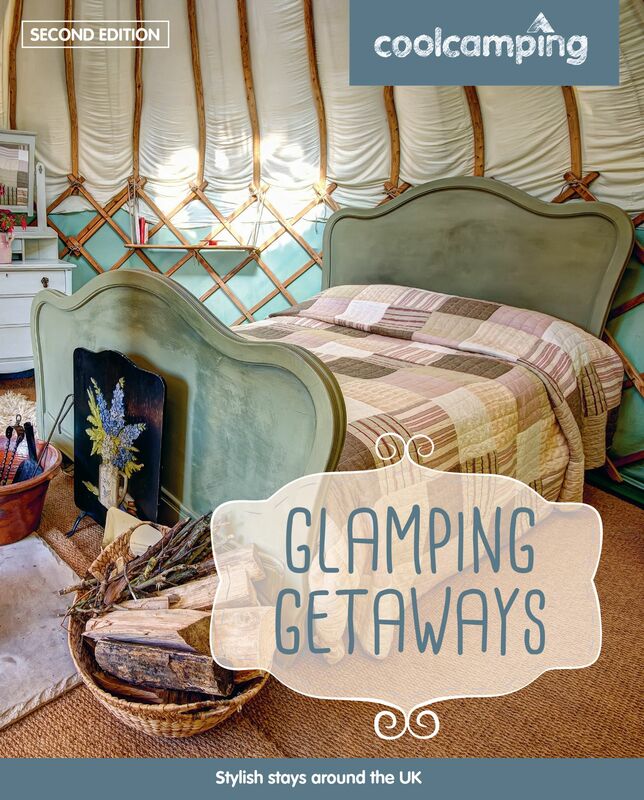 Now extended to feature 80 stunning glamping sites across the UK – including many fresh new discoveries– this updated second edition of Glamping Getaways showcases the diversity and creativity of this wildly popular holiday experience. From the coast of Cornwall to the wilds of Scotland’s western isles, Glamping Getaways explores an array of incredible stays, with new finds including secluded shepherds’ huts in the heart of a National Nature Reserve, an innovative two-storey safari tent in the Avon valley and horse-drawn gypsy caravans trotting visitors around the Lake District. This hand-picked selection of luxury camping is brought to life with insightful reviews and hundreds of photographs, alongside handy practical info on what you can expect to find on site, things to do in the locality, and the best food and drink options around. And only the Cool Camping guides illustrate every single site with photographs, allowing readers to use the book for inspiration as well as information. Prepare to be blown away by the UK’s most inventive and exciting outdoor accommodation, showcased to the full in Glamping Getaways. Book your spot in the hot tub, raid the welcome hamper, and get ready to live the high life – glamping style!